When will be The Chronicles of Town Called Jian next episode air date? Is The Chronicles of Town Called Jian renewed or cancelled? Where to countdown The Chronicles of Town Called Jian air dates? Is The Chronicles of Town Called Jian worth watching? 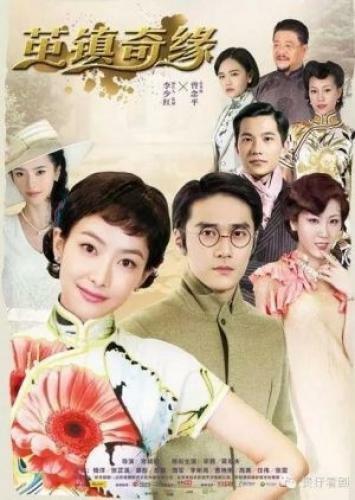 Set during the Republican era, the story tells of a young girl by the name of Du Chun Xiao. A smart young girl who uses her strange but unique ability to deduct clues and solve mysteries through the use of tarot cards. However, one day she decides to return to Jiangnan with her friend Huang Meng Ching. As the Huang family accepts Chun Xiao as one of their own Mr Huang proposes the idea of marriage between his son Mo Ru, and Chun Xiao.Though she is not particularly attracted to Mo Ru, she continues to live with the Huang's until strange things begin to occur, that endanger her life. It is during her difficult times, that she notices Huang Mu Yun, the youngest son of the Huang's. As the two discover their feelings for each other, secrets regarding Chun Xiao's true identity, as well as the darker nature of Mr Huang's past deeds are unraveled. The Chronicles of Town Called Jian next episode air date provides TVMaze for you. EpisoDate.com is your TV show guide to Countdown The Chronicles of Town Called Jian Episode Air Dates and to stay in touch with The Chronicles of Town Called Jian next episode Air Date and your others favorite TV Shows. Add the shows you like to a "Watchlist" and let the site take it from there.